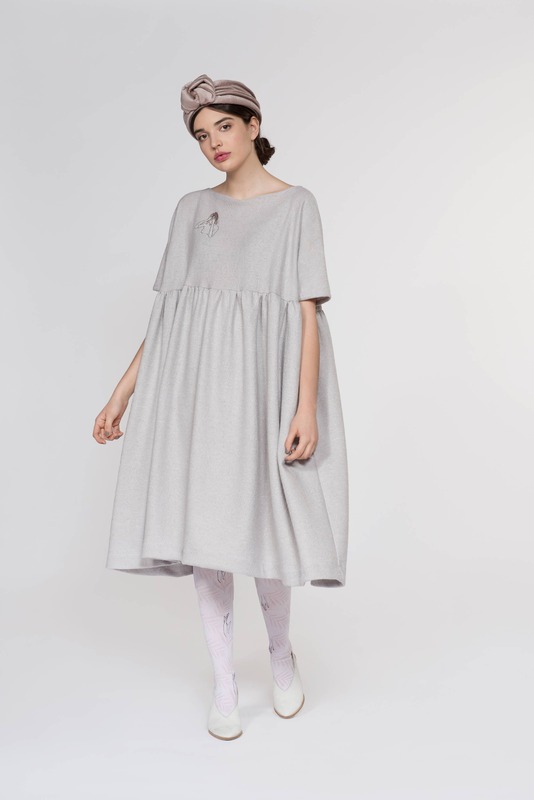 Oversized midi embroidered soft boiled wool dress with gathered waist, boat neckline, 3/4 dolman sleeves and in-seem pockets. Content: 60% viscose, 40% wool (dry clean recommended). Available in grey, black and wine. For this collection, I worked with Montreal based illustrator Paule T.B. to create a signature eclectic print and visual. Sent to you in our gift box, lovingly hand wrapped in our signature tissue paper. Posted Priority Delivery, insured and tracked. All clothing is produced in Canada and all jewelry and accessories are handmade in our Montreal based studio. Amazing dress made out of a beautiful material. 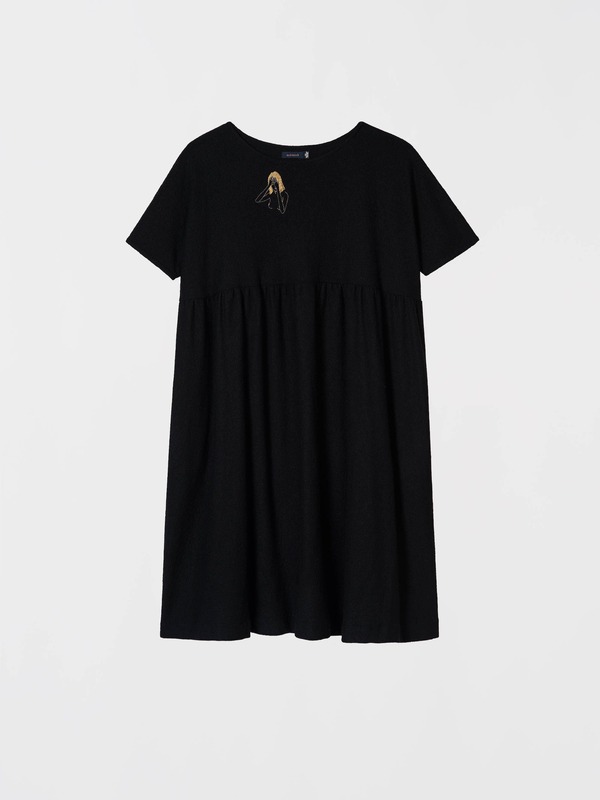 Although the dress is very wide it makes a wonderful feminine silhouette and it fits perfectly. Fast shipment and reliable communication. This won't be the last dress bought from noemiah! THANK YOU!